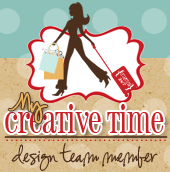 Welcome to day one of the May Stamp Release at My Creative Time. As you know Emma has come out with another awesome Stamp release..She has been posting a few videos on Youtube and has posted them on her blog and Facebook. Please make sure to check them out because I have to admit, this is one of my favorite releases! There are five new stamp sets and they all come with dies!! They are to DIE for! Hee hee! Anyway, for my project today, I used the What's Growing On stamp set to create a canvas for my daughter. She is obsessed with mustaches so I made her a few mustache straws. When we went to lunch, the girls had to give them a try. How cute is this picture!! The die is also from the Whats Growing On stamp set. The sentiment is perfect for this! I was not in love with this project but there are no mistakes in crafting! Did you see the blinged out stash! lol. Please make sure to stop by each day this week for more sneak peaks! Also make sure you visit the design team for more crafty ideas! Big crafty hugs! Very cute!! i love how you blinged out the mustache!! That's so fun. great job. This is for sure a priceless treasure. So cute!!! I LOVE the picture!!! So cute! What a fun idea!!! Nancy ~ oh my look at this! First the girls are just GORGEOUS! But the mustache straws ~ HOW CLEVER! I just LOVE it! I LOVE, LOVE all the embellies too! Always an AMAZING job! I just LOVE how you capture your families memories! Too cute and the girls are adorable. I love mustaches too! Great party favor with the straws! I think this would make great camping pics! I had better get my order and get busy! I didn't know that I would like mustaches so much as I do this collection. Your picture is so perfect for this collection. I love the mustache straws -- waaaaaay cool! Thanks for sharing your ideas. Clever to put the staches on straws...a good memory and fun picture for the girls to remember! Your layout is so cute and the girls look so cute with the mustashes!!!! Love the pic of the 'stache drinking girls! Perfect frame. This picture is perfect for your project! Love the colors and the bling on your 'stache! Great job! Super cute project....love the blunt mustache!! Such a cute LO! That picture is priceless -- so fun! TFS! All I can say is too too super cute. I had to laugh at this photo. Great job!!! They are great sports too!! What fun! great job with the mini album. Super cute idea. Love the mustache straws. The girls look like they are having fun. Great why to use the new release. this frame is too cute! love it! Thanks for sharing, your frame is very cute! Very cute--very fun photo too. This is just adorable...those mustache straws are so cute! So Cute!Stinkin Cute!So much fun!!!! !